Kate Porter is head of PR and community at Countdown and is a big advocate for Kaibosh. When Countdown Supermarkets came on board as a food donor in 2012, everything changed for Kaibosh. We went from rescuing 5,785kg a month to 13,419kg! 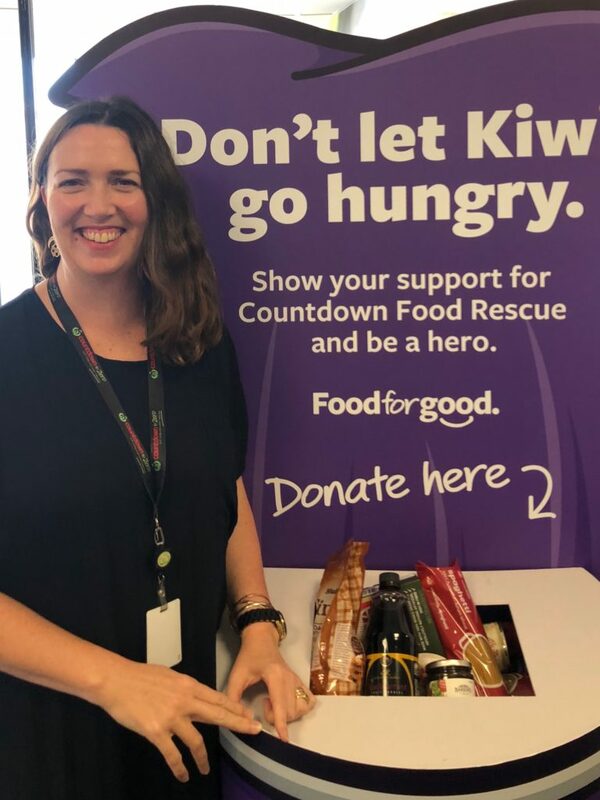 Around 60% of the food we rescue is donated by Countdown Supermarkets in Wellington and the Hutt. Not only does Countdown support Kaibosh by donating thousands of kilos of food each month, they also support us financially. We would not be able to reduce food poverty and food waste to the extent that we do without the support of Countdown. Kate shares about the Kaibosh-Countdown journey. How are you involved with Kaibosh? Countdown has donated surplus food to Kaibosh since 2012 and I’ve known Matt and the team since 2013 when I came on board. Our stores around Wellington and the Hutt donate food that can’t be sold but is still perfectly good to eat, and Kaibosh does its magic to make sure it’s put to good use. What inspired Countdown to begin donating food to Kaibosh? We’re working towards zero food waste to landfill by 2020, so the environmental impact of food waste was very much our starting point in 2011 when we set up our food rescue programme. But for me, partnering with Kaibosh is so much more than that, it’s about making a really tangible difference to people’s lives. I love that together we can do that. What’s one of your stand-out Countdown & Kaibosh memories? Kaibosh holds a special place in my heart but one of the stand-outs was the day I called Matt to let him know we would help after the earthquake in 2016, when Kaibosh had to up sticks and find new premises due to earthquake damage. I remember Matt saying he and Marty had just been wondering what on earth they were going to do, and we were just so humbled to at least remove a little of that financial pressure. A recipient agency also told a great story one day about a group of teen mums learning how to deal with, cook and eat a massive box of courgettes that they were donated by Countdown – many of whom had never eaten courgette before… I think they made courgette fritters, courgette bread and courgette chocolate cake. So I love that we can do cool things like that too.